Telescopes have picked up a huge number of mysterious signals coming from deep in space, Australian researchers have announced. The radio telescopes have nearly doubled the number of the known “fast radio bursts” – bright flashes of radio waves that make their way to Earth from deep space. And the signals represent the closest and brightest of the bursts that have ever been found. Now scientists have far more examples to study as they attempt to find where the blasts are coming from. 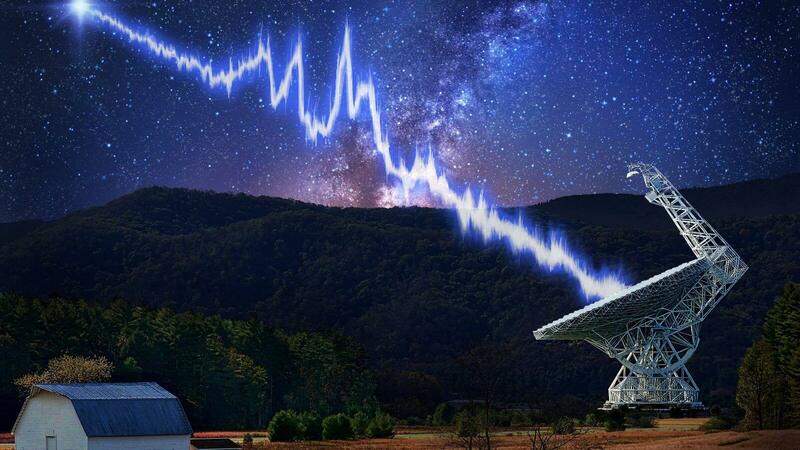 “We’ve found 20 fast radio bursts in a year, almost doubling the number detected worldwide since they were discovered in 2007,” said lead author Dr Ryan Shannon, from Swinburne University of Technology and the OzGrav ARC Centre of Excellence. The new stars have helped scientists track the bursts as they make their way through the universe. They have travelled for billions of years, occasionally passing through clouds of gas as they go, and scientists can use that fact to work out that they are coming from roughly halfway across the universe. “Each time this happens, the different wavelengths that make up a burst are slowed by different amounts,” he said. The vast number of new bursts discovered is a consequence of the fact that scientists were using new equipment on those telescopes, which allow them to have a vast field of view across the sky. Now they hope they can discover more and pinpoint their source in the sky even more precisely. If they do, they might be able to tie them to one particular galaxy, and in so doing understand more about where they come from. They also hope to be able to detect even more of them. If enough can be seen, they could become a useful way of understanding the early universe, since the blasts were sent when it was far younger than it is today.